You are going to Watch Fairy Tail 2014 Episode 56 English subbed online free episodes with HQ / high quality. Stream Anime Fairy Tail Episode 231 Online English sub Gray vs. Doriate. Despite his weakened magic in his childlike form, Gray outsmarts and humiliates Doriath with various pratfalls, determining that he is not the one responsible for freezing Sun Village. Doriath becomes enraged and transforms into a massive demon whose roar transforms everyone in the village into a child. Gray notices that the berserk Doriath instinctively avoids the ice freezing the village, which he deduces is harmful to the demon. Gray channels the ice’s magic through his body to defeat Doriath, reversing his spell on everyone. Doriath is subsequently devoured by his and Minerva’s giant, one-eyed bird mount. Meanwhile, Natsu meets with Lucy, Wendy, and Flare after tracing the voice to a frozen mountain, which Flare says is the Eternal Flame. 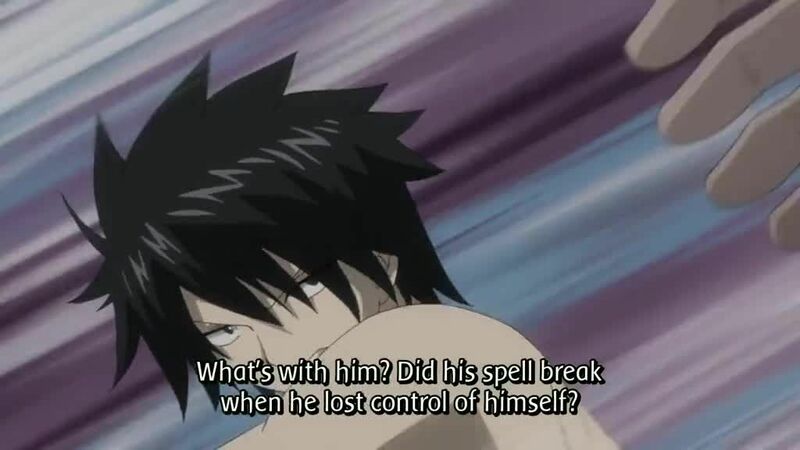 Gray arrives at the flame while pursued by the bird, which Natsu prepares to fight.